Mönchengladbach - Borussia Mönchengladbach have been a team of extremes so far this season. After starting 2015/16 with five straight losses, the Foals have now won three on the trot, and caretaker coach Andre Schubert, the man inextricably linked with the club’s revival, has not only broken records but also breathed new life into a side who previously appeared to be stuck in the deepest of ruts. While putting points on the board was critical when Schubert stepped into the role, the time his work has afforded sporting director Max Eberl to assess the best course of action for the club’s future is arguably the most important facet of the Foals’ upswing in form. However, each passing victory, the latest a 2-0 triumph over fellow top four aspirants VfL Wolfsburg, only serves to further fuel the question of whether finding a replacement for the departed Lucien Favre is even necessary, with Schubert finding success by going back to the basics. Indeed, overcomplicating issues was perhaps a criticism that could have been levelled at Favre in the latter stages of a tenure that should best be remembered for the high notes it hit than the sour note it ended on. For now, Gladbach are playing a different tune under Schubert’s “think positive” moniker, a reflection of the philosophy being promoted by the 44-year-old. 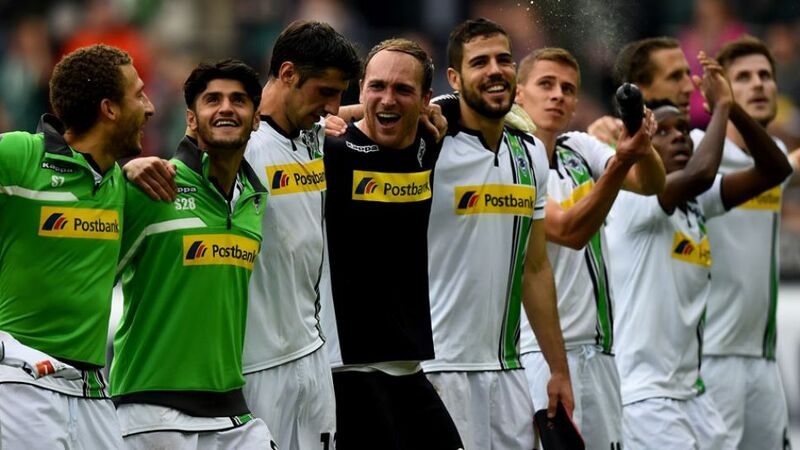 The freedom and fluidity with which Borussia are playing at present is a throwback to Favre’s early years in charge, when Gladbach went from the brink of relegation to top-four finish in the space of 12 months. “Right now we’re just having fun, and as a result it’s easy to cover one or two kilometres more in a game as opposed to when you’re suffering a dip in form,” explained Granit Xhaka. Schubert, who boasts no previous experience of top-flight coaching, was brought it to plug the gap in a short-term capacity, but if it were up the players, he would quite possibly be the No.1 candidate to fill the role beyond this season. “Being completely honest: When we’ve taken nine points from three Bundesliga matches, why would we even need a new coach?” was the question posed by Xhaka to the assembled press in Gladbach on Saturday. “He’s doing everything right at the moment. He knows us, he has a clear philosophy and we’re putting it into action on the pitch.” Schubert may be buying Eberl time to make a decision, but maybe the long-term solution may lie closer to home.